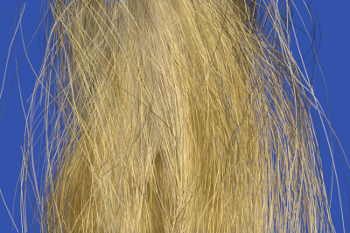 Hair models for computer graphics consist of many curves representing individual hair fibers. In current practice these curves are generated by ad hoc random processes, and in close-up views their arrangement appears plainly different from real hair. To begin improving this situation, this paper presents a new method for measuring the detailed arrangement of fibers in a hair assembly. 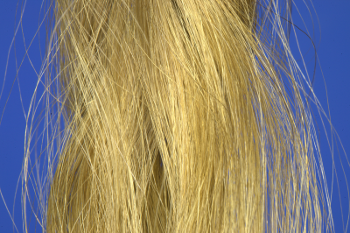 Many macrophotographs with shallow depth of field are taken of a sample of hair, sweeping the plane of focus through the hair's volume. The shallow depth of field helps isolate the fibers and reduces occlusion. 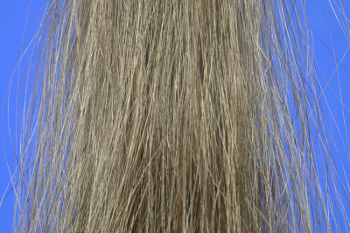 Several sweeps are performed with the hair at different orientations, resulting in multiple observations of most of the clearly visible fibers. The images are filtered to detect the fibers, and the resulting feature data from all images is used jointly in a hair growing process to construct smooth curves along the observed fibers. 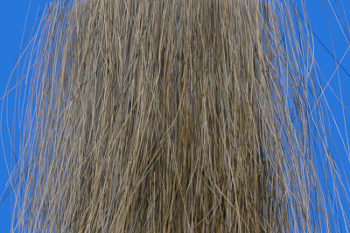 Finally, additional hairs are generated to fill in the unseen volume inside the hair. The method is demonstrated on both straight and wavy hair, with results suitable for realistic close-up renderings. These models provide the first views we know of into the 3D arrangement of hair fibers in real hair assemblies. This work was supported by the National Science Foundation (grants CCF-0347303 and CCF-0541105) and by Unilever Corporation. Computing equipment was generously provided by Intel. The authors also thank Noah Snavely and Robert Velthuizen for valuable conversations that helped shape this work.